Apple has taken the internal decision of delaying the public launch of watchOS 2 after discovering what it quite clearly thinks is a substantial bug in the platform. The new Apple Watch firmware, which was until now all set for release into the public domain today, represents the first major update to the operating system that powers Apple’s intelligent timepiece and was set to bring a whole host feature additions and improvements. This one has come entirely out of the blue, and although the public launch of iOS 9 will still go ahead as planned it’s likely to cause disappointment to a lot of Apple Watch owners who were looking forward to extending the capabilities of the hardware. An Apple spokesperson had this to say. We have discovered a bug in development of watchOS 2 that is taking a bit longer to fix than we expected. 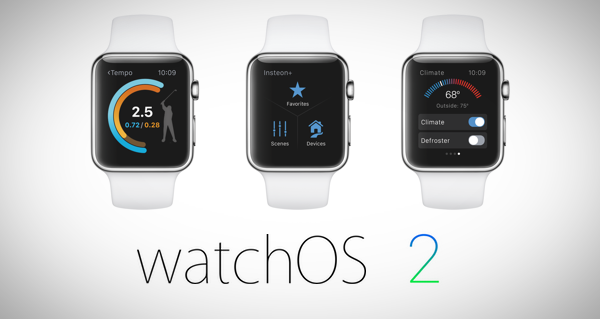 We will not release watchOS 2 today but will shortly. It’s generally accepted that any initial release of a major software upgrade will come with bugs and issues attached to it. With that said, it’s generally considered somewhat unprofessional and ethically lazy to publish a major platform upgrade knowing that it contains an issue that is likely to affect the majority of those interacting with the product. Given how important the Apple Watch is to Apple, and just how much media attention has been paid to watchOS 2, we can only imagine that the discovered bug is a fairly critical one. So Apple Watch owners, you’re going to need to wait just a little bit longer to get your hands on everything that watchOS 2 offers. Time Travel functionality via the Digital Crown that provides an immediate glance into the week ahead. Complications that provide a whole new level of information directly on the watchface. The ability to install and run third-party “native” apps that don’t need to be accompanied by an iPhone app. 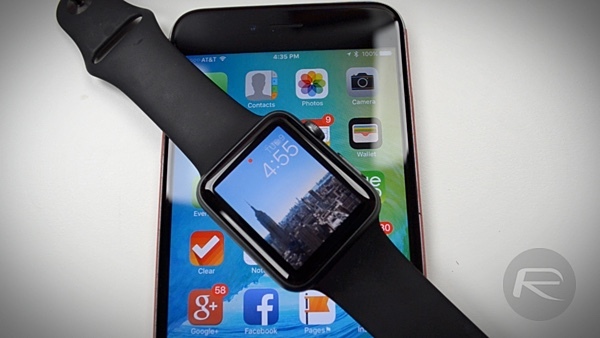 watchOS 2 is definitely going to be a game changer for Apple Watch owners. We’ll try and bring you more about this one as it developers. And if possible give you additional insight into the bug and how serious it could potentially be. Until then, hats off to Apple for actually taking the decision to fix the issue and get this release as perfect as possible for consumers. What else can be expected from apple except supplying bugs. Good never bought the iwatch. You’re such a hater. Really, you’d rather them publish/release it today with the bugs? Your comments irritate me as they bring nothing new to the conversation and you just bash everything iPhone. I understand you don’t like something but if it’s your only goal in life to bash it publicly online, find something else that makes you happy and buy another phone. No one is forcing you to like Apple, but damn, grow up. You look like you’re 30 in your photo, but you act like you’re 12. Oops I upgraded to WatchOS 2 GM, I’ve not noticed anything. I’ll just upgrade to the new version when it’s out. Damn how long do we have to wait for WOS2 can apple at least give timelines! The guys a total stooge, look at all of his comments by clicking on him. every single one is bashing ios. but clearly hes chosen it…. what a douche.